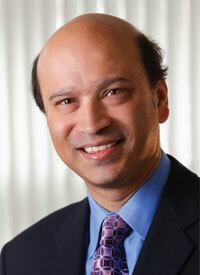 Although existing therapies are prolonging progression-free survival (PFS), the debate as to what frontline endocrine therapy to use and whether to partner it with a CDK 4/6 inhibitor in patients with hormone receptor (HR)-positive breast cancer continues to evolve, explained Debu Tripathy, MD. In an interview during the 2018 OncLive® State of the Science Summit™ on Breast Cancer, Tripathy, professor and chairman, Department of Breast Medical Oncology, Division of Cancer Medicine, The University of Texas MD Anderson Cancer Center, tracked the evolution of treatment of patients with metastatic HR-positive breast cancer. OncLive: How has the management of advanced HR-positive breast cancer evolved? Tripathy: This an area that has evolved a lot in the last few years. The most important thing about treating patients with metastatic HR-positive breast cancer is to confirm the histology at the time of initial diagnosis. You want to make sure that the patient truly has breast cancer metastasis depending on where the easiest lesion to biopsy is. That may be in the lung, the liver, or sometimes in the bone. It’s also important to check the estrogen, progesterone, and HER2 receptors since that can sometimes change from what the primary tumor was. Of course, it also serves as a confirmatory diagnosis for patients who present with metastatic breast cancer. Over the last several decades, the pendulum has shifted to treating patients with metastatic breast cancer according to receptor subtype. For patients with HR-positive, HER2-negative breast cancers, the general paradigm for treatment is to use endocrine therapy first. As recently as 1 decade ago, chemotherapy was the first treatment that patients would get. We now know that if we start with endocrine therapy for most cases, patients will have a better quality of life (QOL). Though randomized studies have been few and far between, the ones that have been done suggest that survival is the same and some data show that survival is better. From a QOL standpoint, we certainly feel that endocrine therapy is the best initial treatment for most patients. There are exceptions to this. In patients with rapidly progressive cancer or extensive visceral burden, we will sometimes start with chemotherapy. If they achieve a response, then we convert them to maintenance hormonal or endocrine therapy. Over the last 5 to 7 years, there has been a shift in how we approach patients with HR-positive breast cancer, primarily because of what we learned from patients who become resistant to endocrine therapy. The first set of discoveries revolve around growth factor receptor pathways, which seem to be overactive in patients with refractory disease. On this basis, several trials have been done to target various growth factor receptor pathways. The mTOR inhibitor everolimus (Afinitor) was the first one to be approved in 2012 in partnership with second-line endocrine therapy with fulvestrant (Faslodex). That has now become a standard of care. More recently, treatment with CDK inhibitors has been paired with both first- and second-line therapy. Initially, tamoxifen was our treatment of choice for patients with any type of HR-positive breast cancer. Aromatase inhibitors (AIs) were introduced later. The AIs, when compared with tamoxifen in the trials done in the 1990s, showed that they were about equally effective. Some of the studies showed that AIs were slightly better, but the one big difference was the risk of thrombosis. Thrombosis is elevated in patients with metastatic breast cancer. That was not a problem with the AIs, so this became the first-line therapy. The other important observation was that in premenopausal patients, medical suppression of the ovaries with gonadotropin-releasing hormone analogues was found to be better when added to tamoxifen than tamoxifen alone. For most premenopausal patients, it became customary to use either surgical or medical ovarian suppression. Even in the era of biological therapies where we're combining CDK4/6 inhibitors and mTOR inhibitors with endocrine therapy, it is customary to use ovarian suppression in premenopausal patients along with AIs or fulvestrant. The question of what the best endocrine therapy is in the first-line is still evolving. Is it AIs or is it fulvestrant? Fulvestrant has traditionally been used in the second-line setting as the estrogen-receptor (ER) downregulator. Comparative trials for this were hampered by the fact that we were initially not using the appropriate dose of fulvestrant. When it became clear that the 500-mg monthly dose was the more appropriate dose and showed a survival advantage over the 250-mg dose, there was a renewed interest in comparing this with AI therapy. The FALCON trial directly compared anastrozole with fulvestrant and showed a slight superiority of fulvestrant in terms of progression-free survival (PFS). In fact, in patients who did not have visceral disease—had bone-only or soft tissue disease—the outcome was significantly better. The important thing about this study is that it was done in patients who had not previously received endocrine therapy, including in the adjuvant setting. Most of the patients were de novo or hadn't had adjuvant therapy. That is one caveat about that trial; it is now raising the question of whether fulvestrant should be the partner with some of the biological drugs, such as CDK4/6 inhibitors. The MONALEESA-3 trial looked at fulvestrant and the CDK4/6 inhibitor ribociclib (Kisqali) in first- or second-line therapy. The trial showed that, in the first-line setting, the PFS was very favorable; it was among the longest PFS we've seen. There wasn't a head-to-head comparison of fulvestrant to an AI in this trial. It suggests that maybe fulvestrant and CDK4/6 inhibitors may be an optimal first-line therapy. There is still some controversy there. For the most part, we're using endocrine-based therapies initially. While there is some controversy as to what endocrine therapy might be best and who should receive CDK4/6 inhibitors; it's important to remember there is no difference in overall survival yet. The trials weren't designed to look at that. The bottom line is we have much fewer toxic alternatives now. With the advent of biological therapies, the PFS is being pushed out. One of the important things is preserving QOL and delaying the time patients may need to go on to chemotherapy if they're refractory to endocrine biotherapies. As more biological therapies come to the forefront, we’re hoping that we can delay the time that patients may need chemotherapy. If we cross the significant biological barriers and figure out why patients develop resistance to these drugs, we could push it out further and obviate the need for the more toxic therapies altogether. How have the TAILORx results informed management of the disease and affected chemotherapy's relevance in the treatment paradigm? Shifting to early-stage breast cancer, endocrine therapy is clearly important for patients who have HR-positive disease. One of the big questions is, “Who needs chemotherapy and how much do they benefit from it?” This is particularly true in lower-risk cancers, specifically patients who have node-negative disease. In the past, there was a series of clinical trials that compared endocrine therapy alone—primarily tamoxifen—with the addition of chemotherapy. They showed a small benefit of 3% to 5% in disease-free survival. The National Institutes of Health issued a call for all patients to receive chemotherapy, even with node-negative and HR-positive breast cancers. We knew all along that many of these patients didn't need these therapies, but we couldn't identify who they were. When gene-profiling technology became available in the late 1990s and early 2000s, we thought we could apply this technology to decipher who needed chemotherapy and who didn't. Fortunately, there were tissue resources from adjuvant trials comparing hormonal therapy alone with hormonal therapy plus chemotherapy. [These patients] had 10 to 15 years of follow-up. When those tissues were subject to gene profiling and the classifiers were constructed and validated on other data sets, it became clear that these signatures were in fact prognostic. Oncotype DX, MammaPrint, and several others have shown that these classifiers can identify high- and low-risk patients. Moreover, the data suggested that patients with low scores also had a low benefit from the addition of chemotherapy. Not only did they have a good prognosis, but the impact of chemotherapy was marginal. This was an important step forward in allowing us to treat fewer patients with chemotherapy. When these tests came online, there was a clear drop in the number of patients getting chemotherapy. According to the projections, we weren't necessarily sacrificing outcomes in these patients. However, a prospective randomized trial needed to be done not only to confirm the general premise but also to start looking at subsets and set the thresholds for where we should and shouldn't recommend chemotherapy. The TAILORx study was the largest randomized breast cancer trial ever done; it enrolled close to 10,000 patients. Of those, patients with intermediate-risk scores were randomized to receive endocrine therapy only or endocrine therapy with chemotherapy. They revised the cut points so that there was a better sense that we weren't inappropriately undertreating patients. The low-risk group was treated with endocrine therapy. [Patients with] high scores were treated with chemotherapy followed by endocrine therapy. We know that the patients with low scores had an excellent outcome. The [data on the] intermediate-risk group was presented at the 2018 ASCO Annual Meeting, and results confirmed that there was no benefit of chemotherapy in that intermediate-score group. There was a caveat in that patients who were younger, under the age of 50, and had the higher range of intermediate scores from 16 to 25 appeared to benefit [from chemotherapy]. [These patients showed] anywhere from a 6% to 8% reduction in recurrence risk. For those patients, chemotherapy could be discussed. When you're looking at subsets, it's very hard to make clear and firm conclusions. The bottom line is we believe that intermediate-score patients can be treated with endocrine therapy alone, perhaps with the exception of the younger patient within the high range of intermediate scores. What are your thoughts on the frontline approval of abemaciclib (Verzenio) with an AI? Abemaciclib is an interesting drug. It may be a little bit different from the other CDK4/6 inhibitors, such as ribociclib and palbociclib (Ibrance). It is as effective as the other drugs both in the first- or second-line settings. The first trial to come out with abemaciclib was as a single agent, not with endocrine therapy, for patients who had already progressed on multiple therapies. It showed effectiveness. It was a single-arm study, but compelling enough with the absence of other nonchemotherapeutic drugs. That was one of the labels for its original indication. Shortly after that, the second-line therapy came out [as a result of the] MONARCH 2 study, which looked at fulvestrant with or without abemaciclib. Again, it showed the same degree of benefit—roughly a doubling of PFS. The most recent one was an AI with or without abemaciclib. That also showed a significant benefit. It has a slightly different profile for toxicity. [It shows] a little more in the way of gastrointestinal toxicity and a little less in the way of hematologic toxicity. It distinguishes itself in that it shows activity in later lines of therapy as well. There is a lot yet to learn about the different CDK4/6 inhibitors. They all have benefit now in the first- and second-line settings. We need to learn more about whether there are predictors for patients who perhaps don't benefit. Thus far, all of the subsets look like they benefit. There may be some biological subsets that may point us in certain directions. At the 2018 AACR Annual Meeting, there was some indication that patients with cyclin E overexpression don't do as well. We have some data from our institution that low-molecular weight cyclin E may spell resistance to not only CDK4/6 inhibitors but with endocrine therapy. The loss of the retinoblastoma protein may also be one. It's something that seems to evolve over the course of therapy based on some of the initial studies. We may get to the point where we can be a little more discriminating as to who we think should be on these drugs, [and] more importantly, learn about the mechanisms of resistance to develop therapeutic approaches [that circumvent] the development of resistance. Could CDK inhibitors in combination with checkpoint blockade and targeting the PI3K pathway be a strategy? Yes. There is a huge interest in combining CDK4/6 inhibitors with other biological therapies. There was an interesting study called the neoMONARCH study, in which patients received neoadjuvant abemaciclib and endocrine therapy. The biopsies that were done after patients had been on therapy for some time showed the development of an immune infiltrate with T cells in the tumor. That has raised the interest in immunotherapy combinations because HR-positive cancers don't have much response to checkpoint inhibitors and other immune therapies. It's possible that CDK4/6 inhibitors may, through mechanisms that aren't clear yet, bring this about. There has also been interest in combining CDK4/6 inhibitors with other targeted therapies, such as signal transduction inhibitors like PI3K inhibitors. Those trials are underway. The data show that you can safely give these drugs. We're going to need later-phase trials to sort out the benefits from those and many other combinations that are underway.